Photographs by Charles H. Traub. 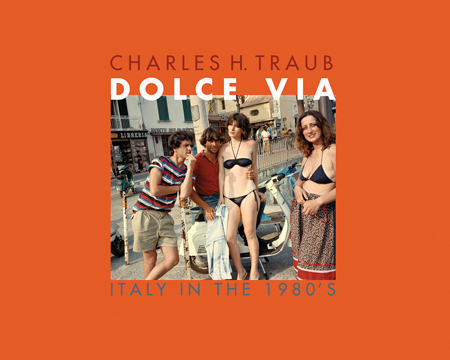 In his latest collection, photographer Charles H. Traub (born 1945) turns his emphatically American gaze upon the streets and byways of Italy, from Milan to Marsala. Traub’s brilliant blues, reds and yellows accent the baroque posturing and gestures of strangers and ordinary people. Traub’s friend and guide, the late photographer Luigi Ghirri, said of the imagery, 'you see our foibles, strip us bare, make love through the camera and then venerate us.' Dolce Via is the first comprehensive collection of these vivid color photographs, which were made in Italy during the early 1980s. This publication includes contributions from American art critic, photographer and founding editor of Artforum, Max Kozloff, and the Italian poet, Luigi Ballerini.